Ok let me decipherer ur code Modern, Stock, Fully Works, now why would someone want to drive a stock car class "B" when they can use a Works class B? Also why is there a performance range if works is allowed? There are a few low end cars that can works in that range so is that what you meant? 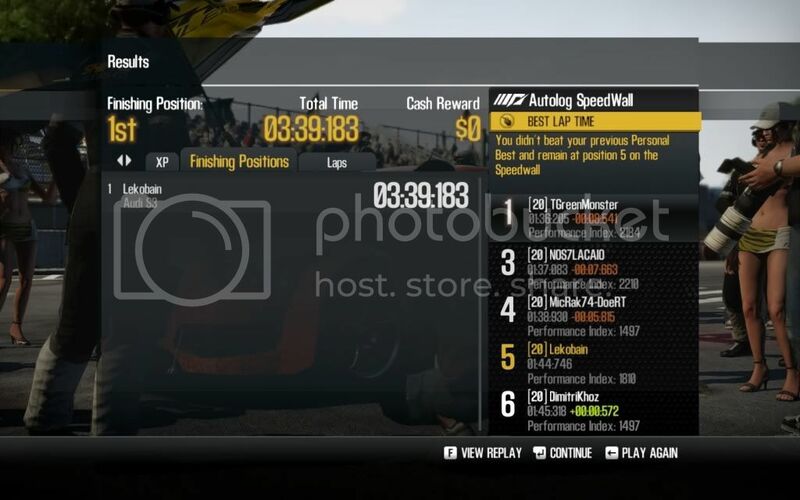 It used to be like that, but people complained they do not have time to test the cars, so I had to change it. What do people want now? PS. 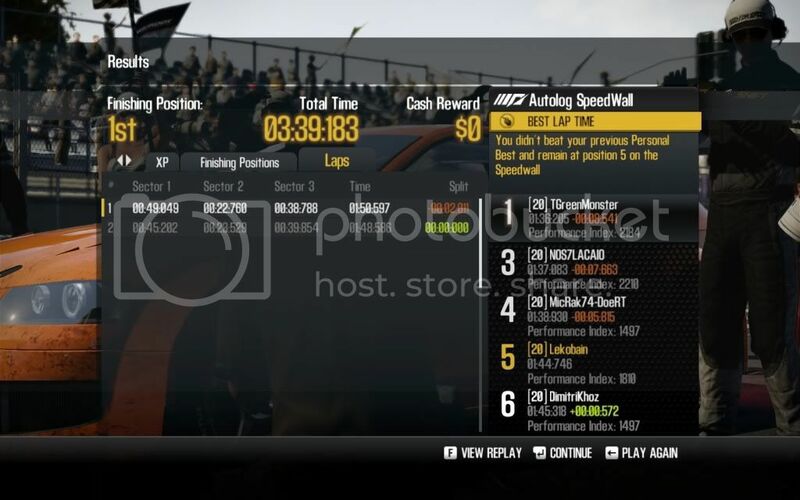 In this race your car has to be stock, fully upgraded or works converted. Perfectly upgraded Class B cars are not allowed, by the request from the racers. 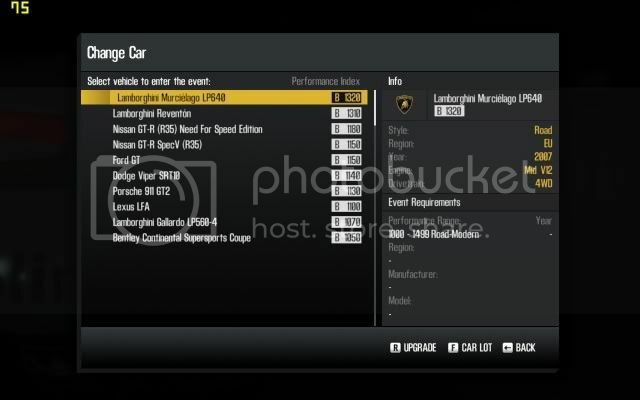 the cars have to fit inside the performance range, but they have to be stock, fully tuned or worls converted. 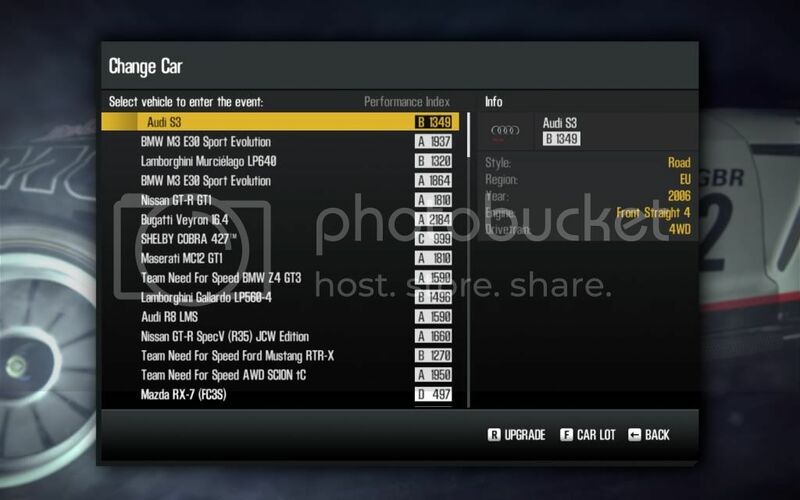 Custom tuned cars are not allowed in this race. 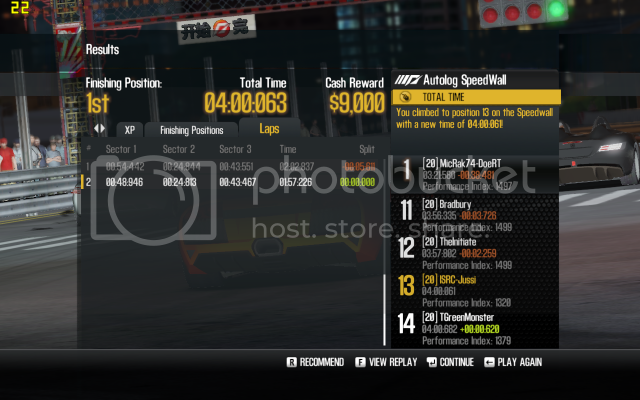 We can go back to normal system after these Class B races, if enough people agree to it. For the record, I preferred the system where you could choose the parts as long as you were in right class, but some people complained it was too time consuming, yet these people have not entered the races with these new easier requirements. I don't have time to buy and upgrade all cars, so you're on your own here. Won't you agree it was better when you could just buy any car that is not above B1499 and upgrade it to B1499? I will not participate, I will be busy getting drunk. My 5 week vacation starts next Friday when we have our midsummer fest, but I plan to be in driving condition on Sunday. You can post races from 110710 up, if you like. One per week. Make a 4 or 5 race GT3 series for starters. We'll be skipping Class A, but if people are not interested in slow Class A cars, then I guess it's OK to jump to GT races. Interesting to see what car you used, Dave. I just took the highest rated stock car, 'cos I didn't have time to explore other opportunities. PS. Set us up some races with fever cars choices, will you Dave? I need to buy the engine swap?